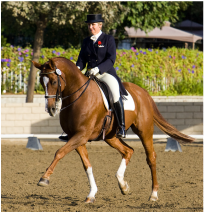 Robin is the heart and soul of the Dressage Center. 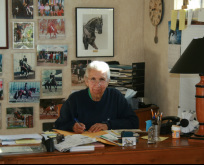 She has been Christiane’s trusted and valued barn manager for more than two decades. As a proud owner of the Haflinger Alpine and a horse lover her whole life, Robin dedicates herself to the well being of the horses. She is the Jack of all trades at this barn and manages the daily schedule and numerous other tasks. Being the secretary of the Dressage Derbies is just another task Robin handles with ease. In 2012 Ari Lopez joined the CNDC team as an assistant trainer. She has been riding horses since she was 9 years old and has earned her USDF Bronze, Silver and Gold medals as well as the Silver and Gold Freestyle Bar. In 2015 Ari was ranked as high as 12th in the World for FEI Under 25 Grand Prix riders. 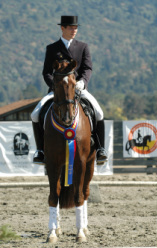 She has won many USDF and CDS championships and in addition to dressage, Ari has competed in Three Day Eventing and “A” circuit Hunters and Jumpers. Christian Hartung moved from Germany to the United States in 2006. 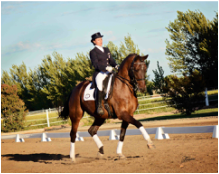 He is a licensed trainer by the FN, the German Riding Association and carries the German Riding Medal Class I. Christian has earned his USDF Bronze and Silver Medals, won several FEI high point awards and CDS and USDF Championships. He has also successfully campaigned young horses in the Futurity classes. As a part time trainer he works with a selected number of horses while, at the same time, pursuing a professional career in business.